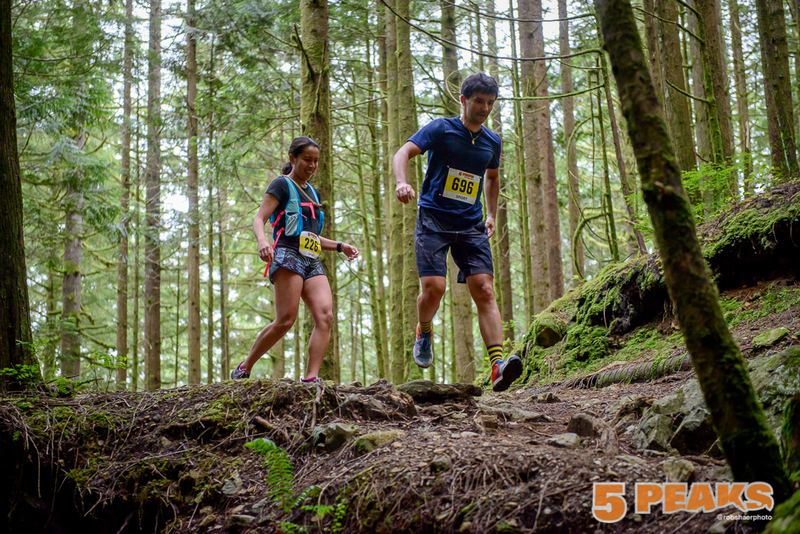 Race 3 in the 5 Peaks Trail Running Series was supposed to be held at Mt. Seymour. Unfortunately, Mother Nature had other plans. A week or so before race day, the trails were still covered with snow and ice. Let me remind you that we’re now in the month of June and yes, there’s still snow in the mountains. Thankfully, race directors scrambled and managed to secure Golden Ears as the backup location. We trail runners are very grateful for this decision because (A) the course is awesome and (B) the event wasn’t cancelled. As I said, 5 Peaks Golden Ears was held at Golden Ears Provincial Park. It’s a bit of a trek for us living in Vancouver but it’s well worth it. 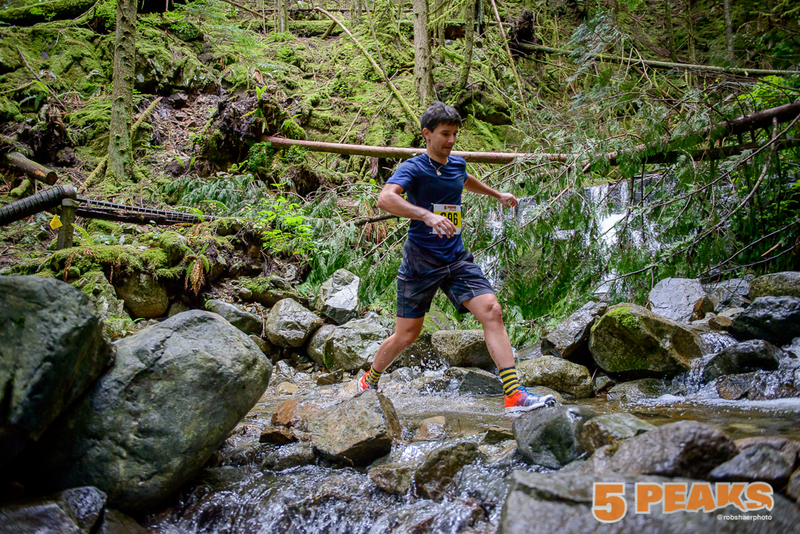 You’ll see what I mean from the photos I took when I attended 5 Peaks Race 2 at Golden Ears last month. Cuski raced it that time but this time around, he decided to hang back with me. I’m happy that I got the chance to race it this year. The park is gorgeous to run through, it’s very green with lots of tall trees and lush vegetation. The routes are exactly the same as last month’s race and they even gave out prizes for most improved time. What a great idea! The Sport course is around 8 km and beginner-friendly. Terrain varies with double and single-track paths with overgrown plants. You have to really pay attention so you don’t trip on a rock or root. You’ll have to traverse through a few small water crossings so I hope you don’t mind getting your feet wet. There’s also a climb which is not too bad, but you’ll soon be rewarded with a waterfall at the top. I would’ve stayed longer to admire it but it was time to head back down the mountain. I had a great time at this race and am feeling more confident with my downhill skills. That just comes with time and practice, I guess. Watch out for the uphill finish back to the parking lot… It’s painful. The swag for this race was a pair of Swiftwick socks and they look great! Functional and easy on the eyes!